Sounds rather cheesy doesn't it? 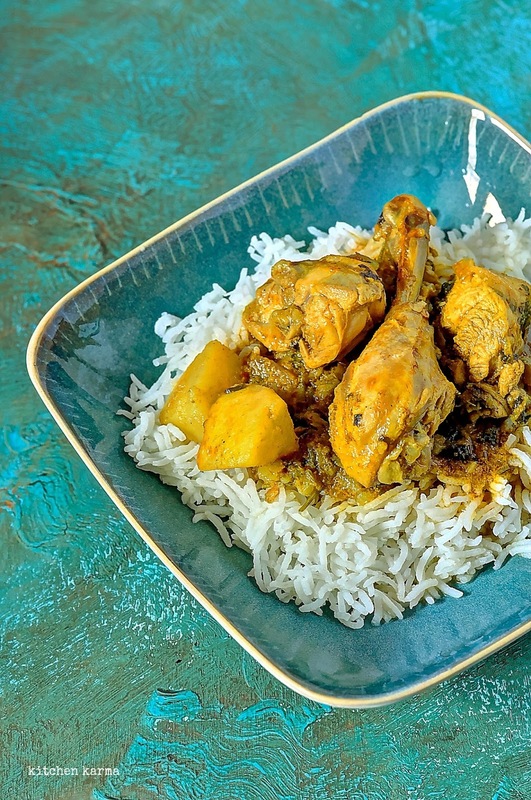 Well I did toy with chicken curry for the lazy bones, but that didn't have quite the rhyme. And also lazy bones, who me? Ha! I am rather taken with this hurry one. In my head it makes me sound like this super busy ninja who saves the world by the day and makes chicken curry in the evening. I kinda like that image! In case you are completely confused with my rambling let me cut to the chase and get to the curry. 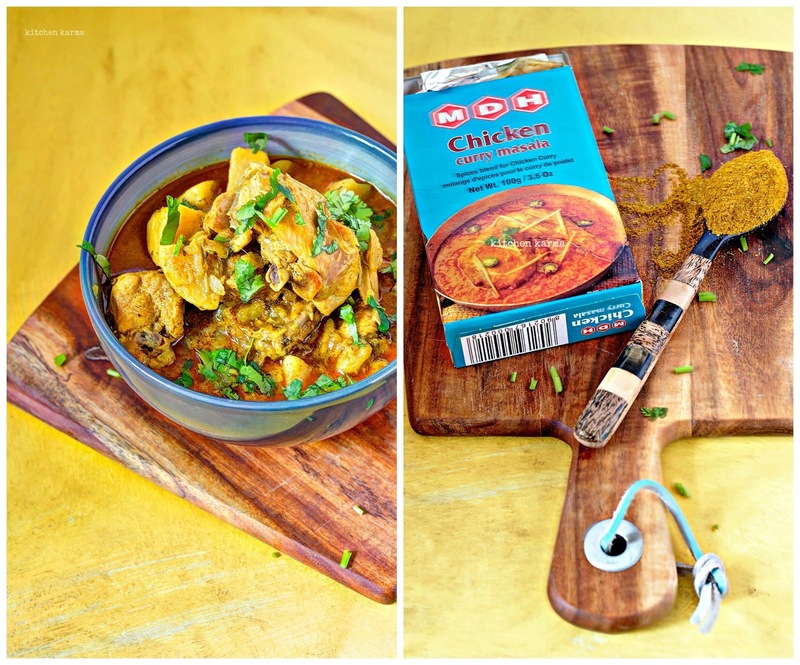 This chicken curry is the simplest I have made so far. It's just a matter of chucking stuff in the pressure cooker helter-skelter and let the cooker do all the work. In fact while making the curry I was feeling so lazy that I did not even want to bring out my masala box, so I just used a chicken curry masala powder mix. Now my husband is a big fan of these curry powder mixes, so there are always a few lying around in our kitchen cupboard. Truth to be told, I have never used these before, call me a masala snob, but I always prefer buying whole masalas and making my own powders and pastes. But desperate times call for desperate measures and when I opened the cupboard the first thing I saw was this box and I grabbed it. And all I did was dump three table spoons of this powder to the frying onions and my job was done. I throughly enjoyed eating this curry and the masala snob in me hangs it's head in shame for having ignored this ready mix for so long. i. In the pressure cooker pan, add the oil and let it heat up. v. Switch off the heat, and let the cooker cool down, open the cover, give everything a good mix, do a taste test, if needed adjust the seasoning. 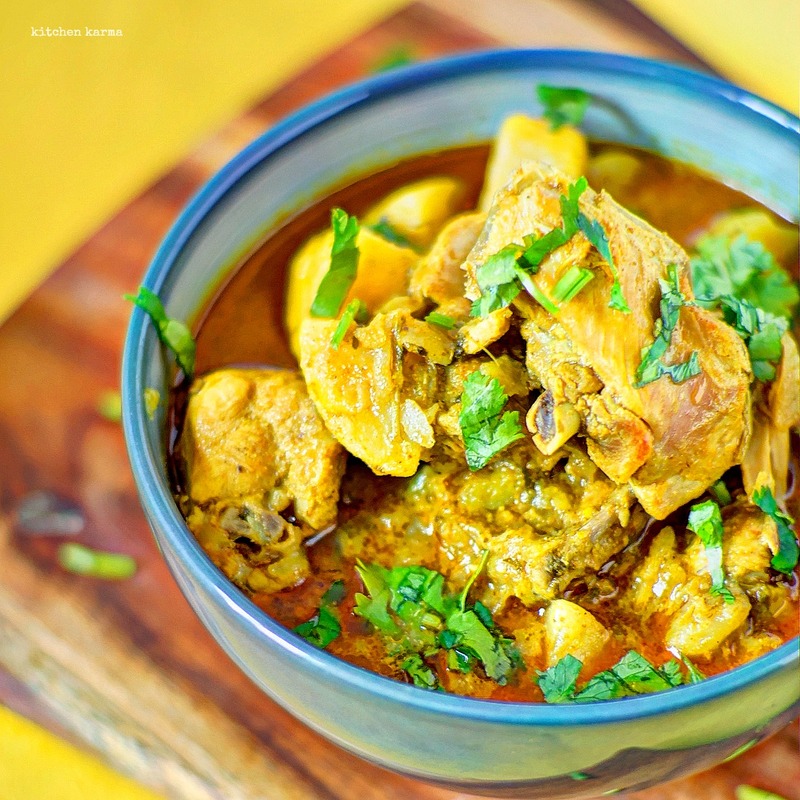 Your chicken curry is ready, it's best to rest it for half an hour or so before serving this with hot, steaming rice. 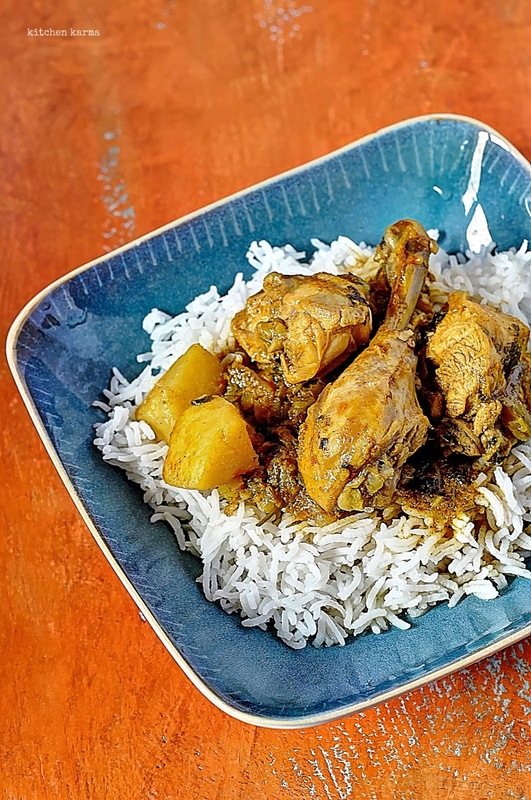 *In case you do not have a pressure cooker, cook on stove top till the chicken pieces are tender and the potatoes cooked through or you can shove it all in the oven. i havent made chicken curry in such a long time but i will now..premade spice mixes really saves me .